The MS Dinner Auction that Heather Dean-Presnall manages as the Senior Manager of Multi Market Leadership Events at the National Multiple Sclerosis Society, Pacific region, has been around since 1986 and happens right before Thanksgiving as a kick-off to holiday shopping, year-end tax donations, and planning trip purchases for the next. 60% of attendees are repeat guests, and 1% or less of her packages go unsold. It is a year-long process with her team: staff, volunteers, board of trustees, and committee. The board and committee are delegated to solicit packages from businesses they frequent, i.e. a Chef's package at a favorite steakhouse. Staff and volunteers are asked to find unique experiences (walk-on roles for Hollywood shows, VIP backstage tickets, special seats at sporting events) through connections. Heather looks at participants at her other MS events for connections and volunteers for the MS Dinner. 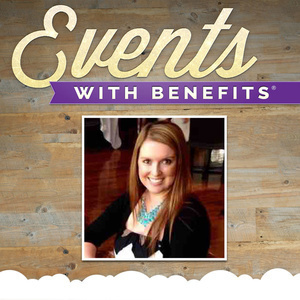 Don't miss the end when Heather talks about her extra revenue streams within existing events!